Calling all coffee lovers! Delight in the special bottle release of Delilah which features your two favorite flavors: great beer with a hint of coffee. On Sunday, August 19th, swing by our Tasting Room and pick up a bottle or two for you and your friends. 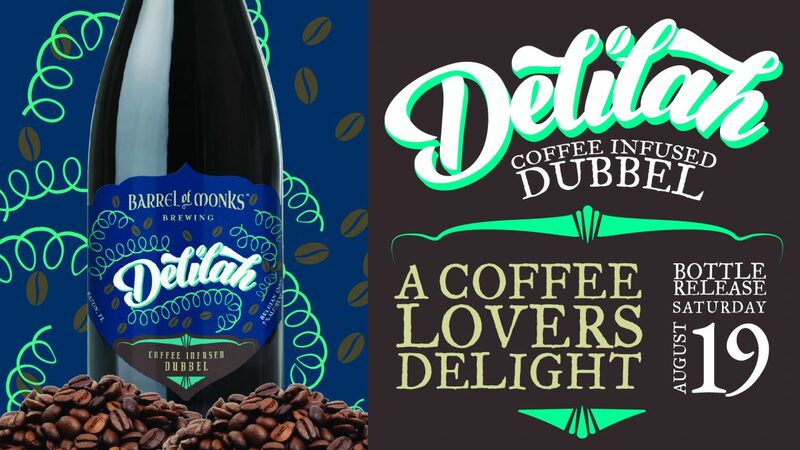 Delilah is our Abbey Terno dubbel enhanced with coffee beans from our friends at The Chosen Bean. We chose their Sampson roast as it is robust with fruit notes that blend perfectly with the subtle toffee flavors in the Abbey Terno, creating a deliciously complex treat.